With the increasing popularity of 4K, more and more people tend to watch and play 4K video or movie to get the excellent Ultra HD movie experience. Many people make use of 4K TV and 4K video streaming sources to enjoy 4K movies directly, while some others may use 4K device for desktop and 4K player software. The latter solution requires a quality-lossless 4K media player. For those who would like to buy a 4K video player, this post is of great help for them. You could get the best 4K player software here. In this post, we have collected 5 best 4K media player software for Mac and Windows respectively. Here we go. Before we go, somebody may still feel not clear about what 4K actually means and what benefits it can bring to us. 4K refers to one of two high definition resolutions: 3840 x 2160 pixels or 4096 x 2160 pixels. It is 4 times the pixel resolution, or twice the line resolution (2160p), of 1080p (1920 x 1080 pixels). 4K is a new resolution standard designed for digital cinema and computer graphics. In television and consumer media, 3840 × 2160 (4K UHD) is the dominant 4K standard, whereas the movie projection industry uses 4096 × 2160 (DCI 4K). It features higher image definition quality, more detailed picture, better fast-action and larger projection surface visibility. Yes that is right. The technology has transformed the way we see the world and best of all, we can now reach the clearest world with 4K technology. In the market, there are different kinds of 4K players and Blu-ray players. Then you may be wondering about what the relation between 4K and Blu-ray is. Well, this side-by-side comparison video of 4K HDR Ultra HD and Blu-Ray doesn’t show the true technological difference between the two. But it does illustrate how there is a visual difference between the two that go beyond just more resolution. From the definition, Normal Blu-ray discs resolution is 1080P (1920×1080 pixels), at up to 60 (59.94) frame rate. It is undoubtedly suitable for HDTV display. 4K Blu-ray is 3840 x 2160 pixels. Basically, Blu-ray or Blu-ray Disc (BD) is a digital optical disc data storage format. It was designed to supersede the DVD format, and is capable of storing hours of video in high-definition (HDTV 720p and 1080p) and ultra high-definition resolution (2160p). Ultra HD Blu-ray players will play Blu-ray discs, DVDs, SACDs, DVD-Audio, and Redbook CDs. Both standard 1080p Blu-ray discs and DVDs will be up-converted to UHD resolution for playback on 4K UHD TVs. Now you may be more confident to go on reading the rest of this post. You will have fun. If you prefer to watch 4K movies with your 4K display and computer, what you need is a 4K video player for Mac or PC computer. The below 5 best 4K media players are all top-notch 4K player software for you to choose. All of these 5 4K media player software could be available in both Mac and Windows versions. As one of the best free Blu-ray players , Leawo Blu-ray Player is not only a zero-cost and region-free Blu-ray player software app, but also a free 4K media player that could perform as free 4K Blu-ray player and free player for 4K for people to play 4K video without any quality loss. This means you could play 4K Blu-ray video with this free 4K movie player regardless of disc protection and region restriction. You could use this 4K video player software to play any 4K video in any 4K format like 4K MKV or 4K MP4. The most important features from this software are that it’s totally free and quality lossless. Your 4K ultra HD video player is here. Another player that is well known for its ability to play back files and codecs that may cause other programs to fail is VLC player. This player was recently updated to include support for 4K video playback in version 2.1. This player has support for a very large range of codecs, making it possible to play back virtually any type of video file (as well as audio). 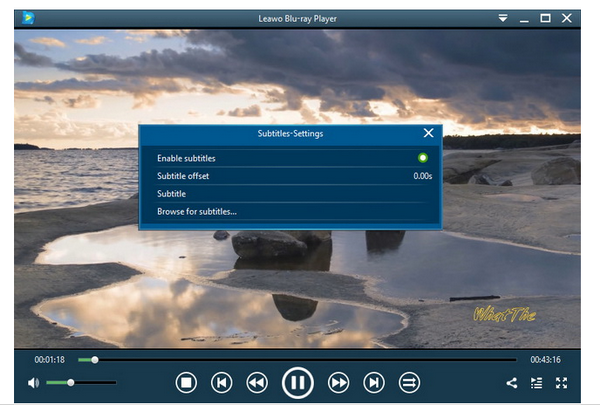 KMPlayer is a lightweight audio and video player for Windows that supports a wide range of different file formats, including AVI, ASF, WMV, AVS, FLV, MKV, and many more. 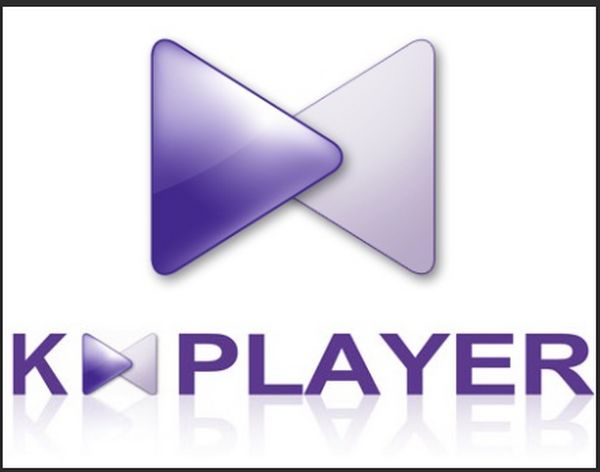 KMPlayer has a small desktop footprint and its minimalist interface makes video playback quick and hassle-free. The player’s interface is simple and user-friendly. And there are some nice aesthetic touches, such as the changing of colour on the player with every new track and the ability to automatically import album art. CyberLink is well known for its affordable and intuitive video editing software, as well as for their DVD and video playback software. 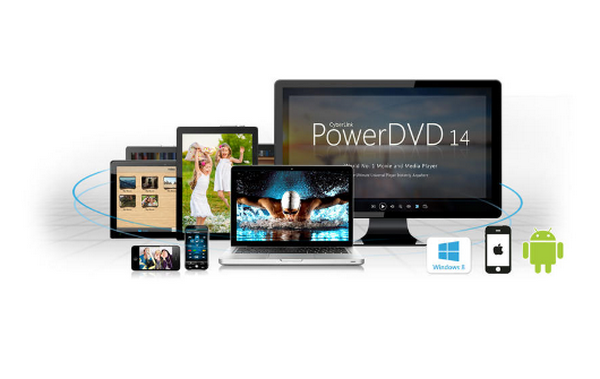 PowerDVD can play back DVD and Blu-ray discs, as well as any video file formats. It supports Ultra HD videos, which can be even further enhanced with their unique TrueTheater Lighting technology that enhances detail and colors. The TrueTheater Surround feature gives you expanded stereo output options if you want to connect it to your home theater for a complete surround sound experience. 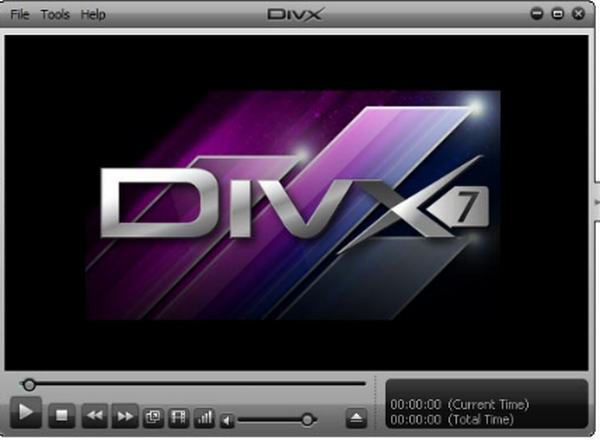 DivX Player is promoted as a very high quality media player and is one of the most popular choices for people to enjoy HD movies. Now it supports playback of files up to 4K in resolution. It supports DivX HEVC video with the HEVC plugin, as well as regular DivX and DivX Plus. 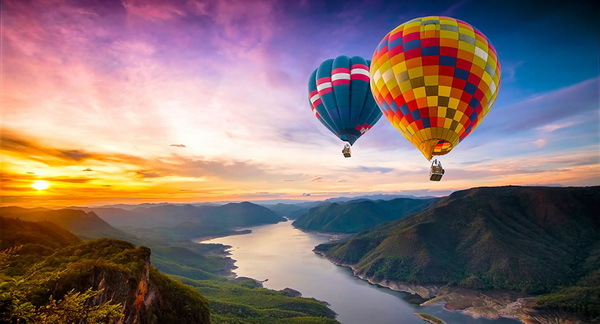 Some of the unique features are well worth mentioning with this 4K video player software including the ability to quickly switch between subtitles in various languages. You can also easily flick through different soundtracks in order to hear features like the director’s commentary, or the motion picture in another language when available. Being the best 4K video player software, Leawo Blu-ray Player offers you the best movie watching experience for you to watch 4K movies at home. It’s easy to use even for green hands. The below guide would show you how to use this free player for 4K to play 4K movies. – Region-free Blu-ray player software to play Blu-ray disc and DVD disc for free, regardless of disc protection and region restriction. – Play 4K FLV videos, 4K MKV videos, 4K MP4 videos, etc. without quality loss. – Play 1080P videos, 720P videos with lossless quality. – Free audio player to play AAC, FLAC, MP3, and other audio files free. – Freely select subtitles and audio tracks, even add external subtitles. – Free ISO player software to play ISO image file directly. – Play videos downloaded from YouTube, Facebook, and other sites free. – Useful power manager function to control computer battery easily. – Virtual remote control lets users select disc menu during Blu-ray/DVD disc playback. – Set program skin and background image according to personal preferrence. Step 1: Download and install free 4K Blu-ray player on your computer. Choose the one according to your computer system. Meanwhile, get your source 4K video content ready. Step 2: Add source 4K movie. 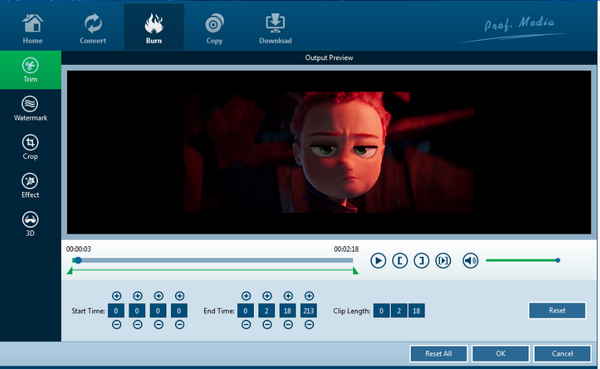 Click the green “Open File” button to browse and load source 4K movie/video content into this free 4K player software. If you want to play 4K Blu-ray disc, insert the 4K Blu-ray disc into the Blu-ray drive and then click the related box on the main interface of this 4K Blu-ray disc player to load and play. During playback, you could do some playback settings like: select subtitles, set video and audio, click for full-screen playback, add another 4K content into the playlist, etc. All in all, with Leawo Blu-ray Player, you will find the most comfortable setting to enjoy your movie. With the above introduction, you must be very familiar with how and what media player to try for 4K movie playback. The above recommended players are in my list of the best 4k video player software ever. By the way, if you have interest to make your own 4K 3D movie, here is a brief guide for you. 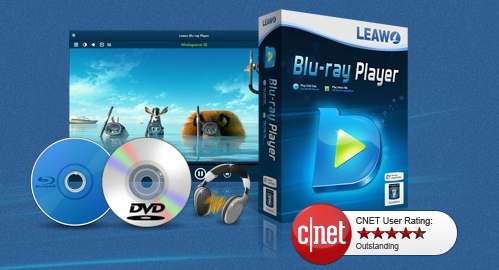 Leawo Blu-ray Creator may give you the full access to make your dream come true. With it, you can add 3D effect to ordinary 2D videos. There are 6 types of 3D effects provided: Red/Cyan, Red/Green, Red/Blue, Blue/Yellow, Interleaved and Side by Side. Check it out! ☉ One click to burn ISO image file to Blu-ray/DVD disc. ☉ Create 3D Blu-ray/DVD with 6 different 3D effects. ☉ Add and design disc menu with personal preferrences. 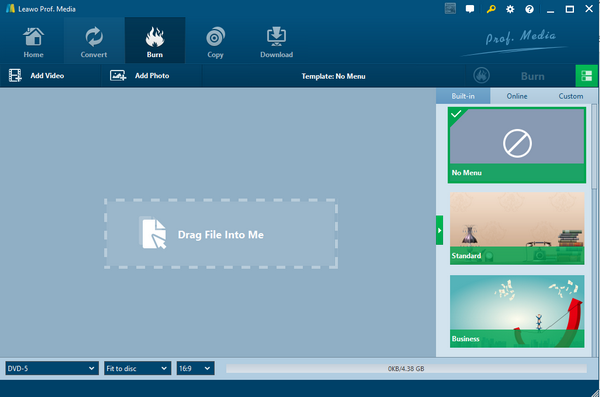 Step 1: Download and install the Leawo Blu-ray Creator. Click the button below to download and install the program. Step 2: Add the source movie to the program. Click on the Add Video button from the toolbar to import your source movie to the program. Step 3: Choose the template you want. There will be more than 40 templates free for use and you can choose you based on your preference. If you feel like making a new one, just customize one. Step 4: Edit the movie. Click on the editing icon and a panel will be shown to let you customize the settings easily. Here you can add 3D effects to your movie and make it Hollywood like movie. 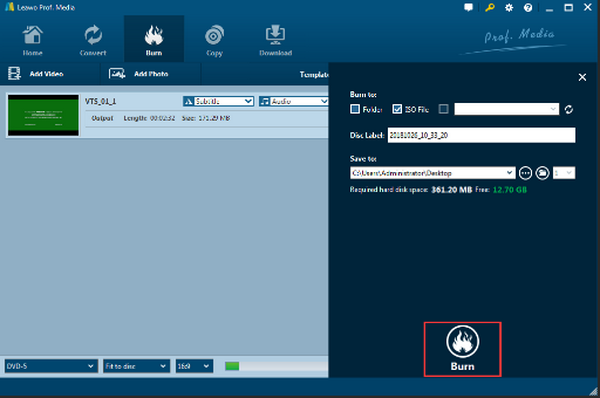 Step 5: Set a directory and type to burn the movie to Blu-ray/DVD. Finally, you can hit on the Burn button on the toolbar and set the type and path for saving the output movie. Either folder, ISO or disk is okay, depending on your choice. Then, hit on the round button Burn at the bottom to kick off the process immediately. After it is done, you will have a 4K 3D movie that is able to provide you with home-movie theater experience. 4K movie is a trending now and it greatly improves our movie experience with clearer and higher definition pictures. Choosing a powerful media player is essential for us to play 4K movie, and we have recommended top 5 media players to you for your reference, among which personally I will go for Leawo Blu-ray Player. All it brings to users are beyond your imagination and you can even set up your routine playback preference within this player. 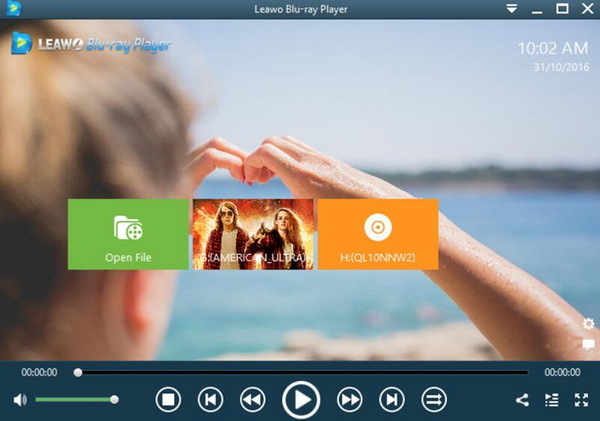 Furthermore, if you aim to make your own 4K movie with 3D effects, we have Leawo Blu-ray Creator to help. This is a professional and powerful media processing program and you can take advantage of it to edit the movie to make it more of your style. Trust me, you will definitely have fun with them.